The Armen Living Brittany contemporary armless dining chair is an ideal choice for the modern home. 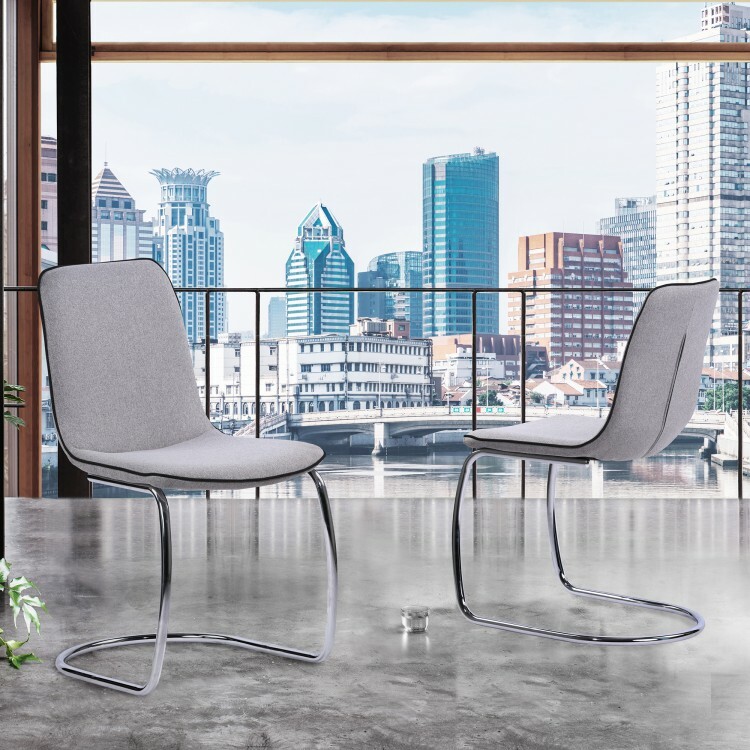 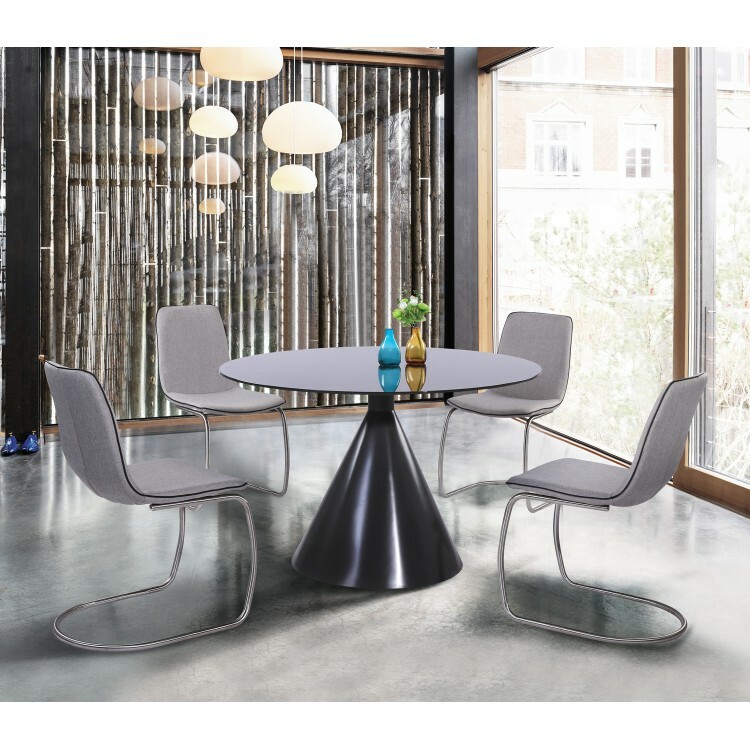 This beautiful chair features quality Brushed Stainless Steel finish metal frame construction that offers an exceptional degree of durability without compromising on the chair’s elegant contemporary aesthetic. 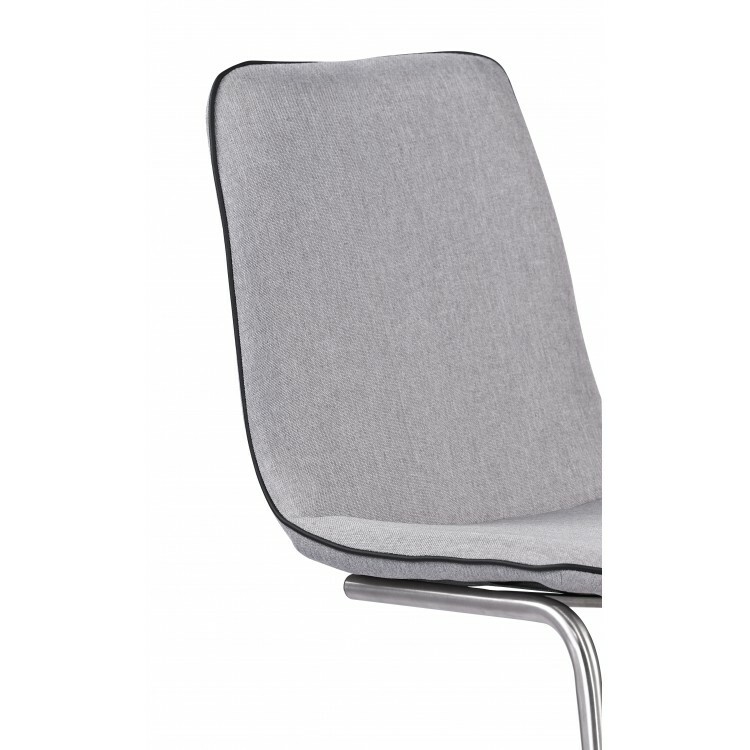 The Brittany’s tall back design and foam padded upholstery offers an ideal level of comfort for the user. 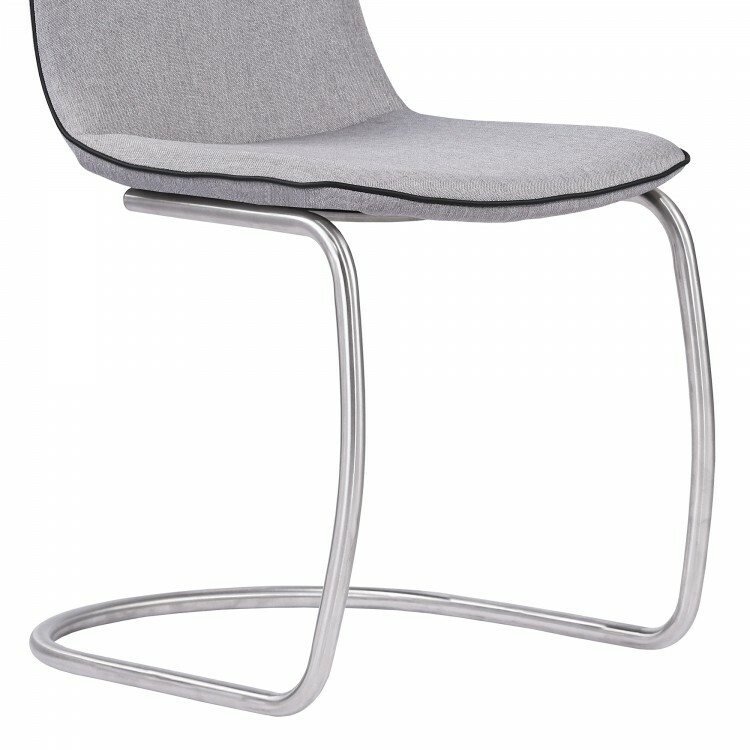 The stylish sled leg design includes a rounded base, adding to the aesthetic elements of the chair. 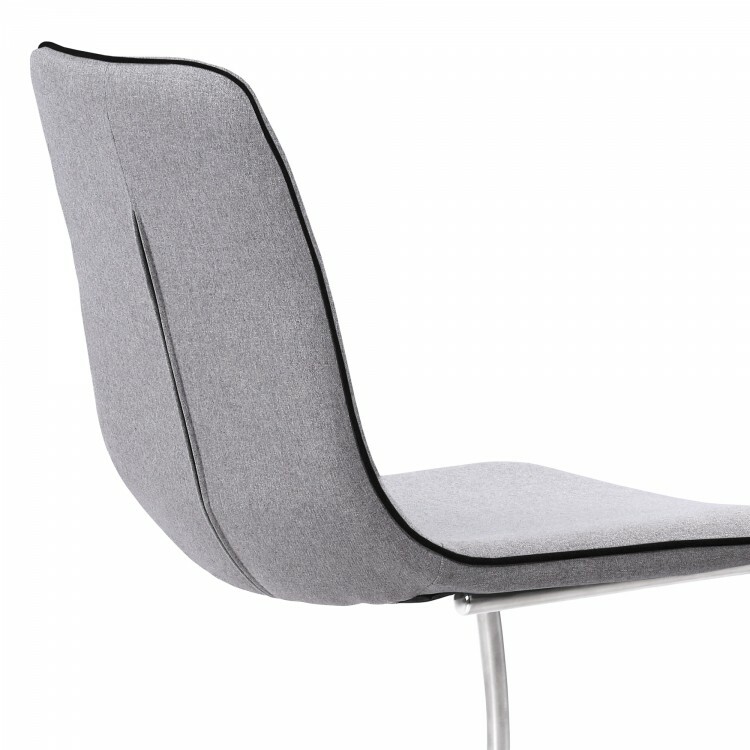 The Brittany’s dark gray pipe stitching extends from the top of the chair and circles down to the front of the seat, creating a beautiful accent. 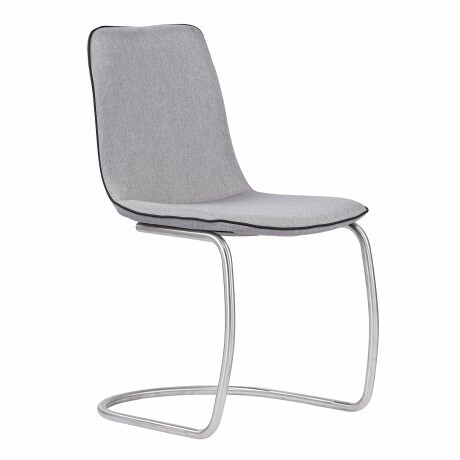 Ideal when paired with the Brittany dining table, this stylish chair is certain to enhance your dining room experience. 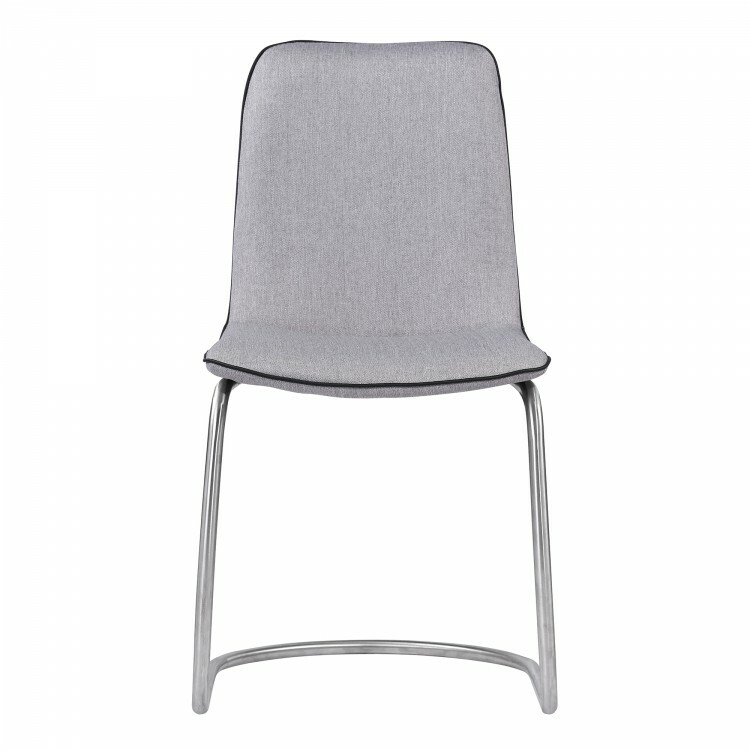 The Brittany dining chair is available in two upholstery styles; Pewter Fabric and Blue Faux Leather, and is sold in a set of 2. 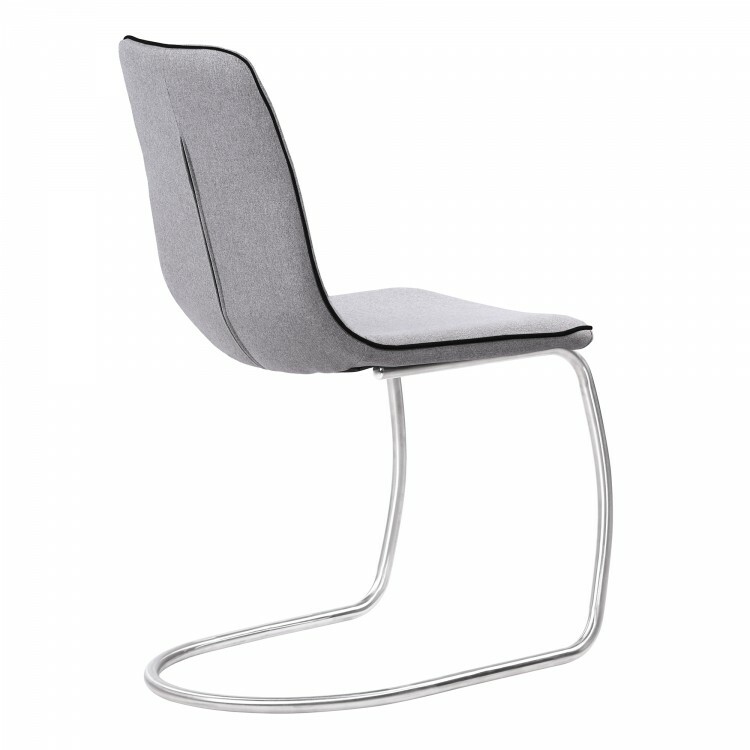 Product Dimensions: 18"W x 24.5"D x 35"H SH: 19"